The 4 star superior Lopesan Costa Meloneras Gran Canaria is a must for those seeking a traditional Canarian style holiday base with a tranquil relaxing atmosphere and a superb beach-side location. 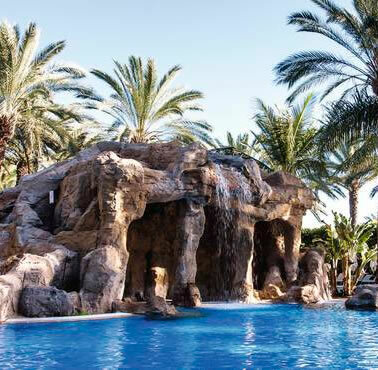 Previously known as the Gran Hotel Costa Meloneras this magnificent hotel is situated in Meloneras on the beach front close to the resort of Maspalomas, near to Pasito harbour and the Maspalomas dunes and 5 kilometers from the resort of Playa del Ingles. 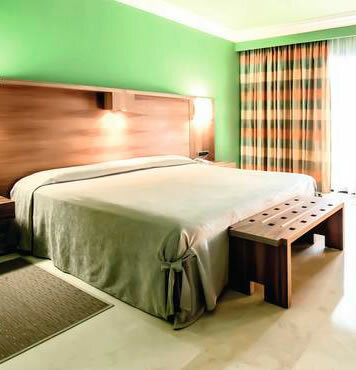 The hotel has a host of facilities and would suit couples and families looking for comfort and seclusion, yet be within easy reach of the shops restaurants and bars of Maspalomas or Playa del Ingles. The Lopesan Costa Meloneras has over 1000 guestrooms and suites including tastefully decorated double rooms that can accommodate up to 3 people and luxurious junior and senior suites for up to 4 people. All the hotel guest rooms are equipped with air-conditioning, private marble bathroom with bathtub and shower, hairdryer and bathrobes, desk, Satellite TV, Internet access, direct-dial telephone, hire safe, mini bar (at extra cost and on request) and balcony or terrace. All the rooms have a wonderful views over the gardens, mountains, or a limited number with Sea views. Junior suites have a living room with sofa bed and separate bedroom as well as two terraces or balconies. 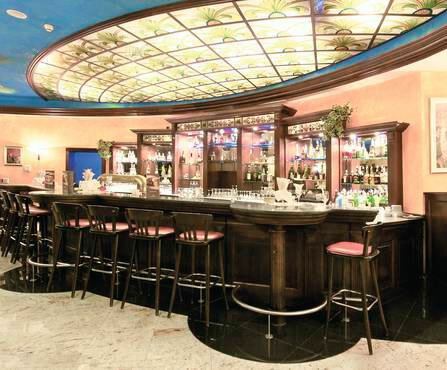 The Lopesan Costa Meloneras has a number of dining and beverage options including two main restaurants, Atlantico and Alameda, an a la carte restaurant Ambassador, three pool bars, lounge bar, bistro-cyber-cafe (internet access and games), and live music and shows. Guests on half board in senior suites or superior suites will enjoy breakfast in the Tertulia Bar, with dinner in the buffet restaurants. Clients on half board can receive a discount to dine in one of the a la carte restaurants (upon reservation). The hotel has a large choice of amenities including several swimming pools (2 heated) and a Lagoon style infinity swimming pool with a waterfall (5m), solarium with Jacuzzis, a children's pool, a lovely garden area with palm trees, 4 tennis courts, 2 paddle courts, shuffle board and French bowls. The hotel offers a varied entertainment programme for adults and children. The hotel operates a mini-club for (4 to 12 year olds). Nearby there are 2 golf courses: Maspalomas Golf and Meloneras Golf. 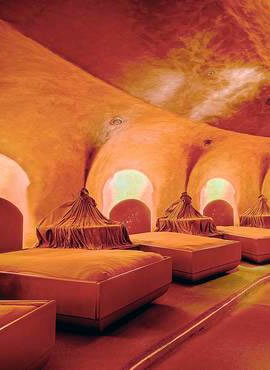 The hotel also has a magnificent Spa that offers hydrotherapy with the most advanced technology, complete spa treatments, a beauty centre with 14 rooms and more than 80 different treatments, as well as an outdoor area with 4 different swimming pools and a gymnasium (Technogym system). Some of the treatments on offer include a fitness centre, a spa with African sauna and jetted tub, hydrotherapy, water cascades etc. 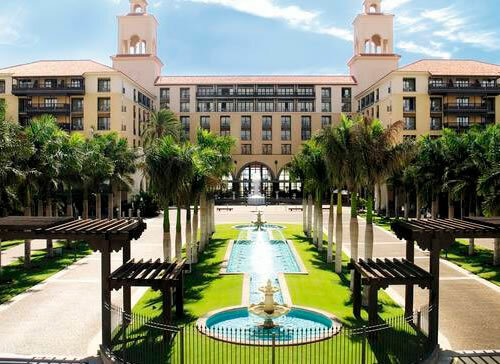 The Lopesan Hotel Meloneras offers a 24 hour reception desk, foreign currency exchange, medical services, bell boy, all major credit cards accepted, parking lot, laundry service, a souvenir shop, newsagent and hairdressers. The hotel can also arrange, car/bike rental services, Wi-Fi, business centre and babysitter, (extra payment).